Mother's Day is right around the corner this Sunday on May 13. If you're a self-proclaimed procrastinator like me and haven't already picked the perfect Mother's Day gift, don't sweat it. I've gathered a list of helpful last-minute items you can swoop in and buy in a heartbeat to make the Mom (or Moms) in your life feel special and loved. As always, my recommendations are made with sustainability and eco-friendliness in mind. The list below starts with some local products and services you can find in Arizona, and then follows with two other products that can be purchased through Amazon (because who doesn't love free 2 day delivery?). Kudos to you if you have Amazon's Prime Membership! Wherever possible, I've tried to include items that are not only eco-friendly, but also plastic-free. 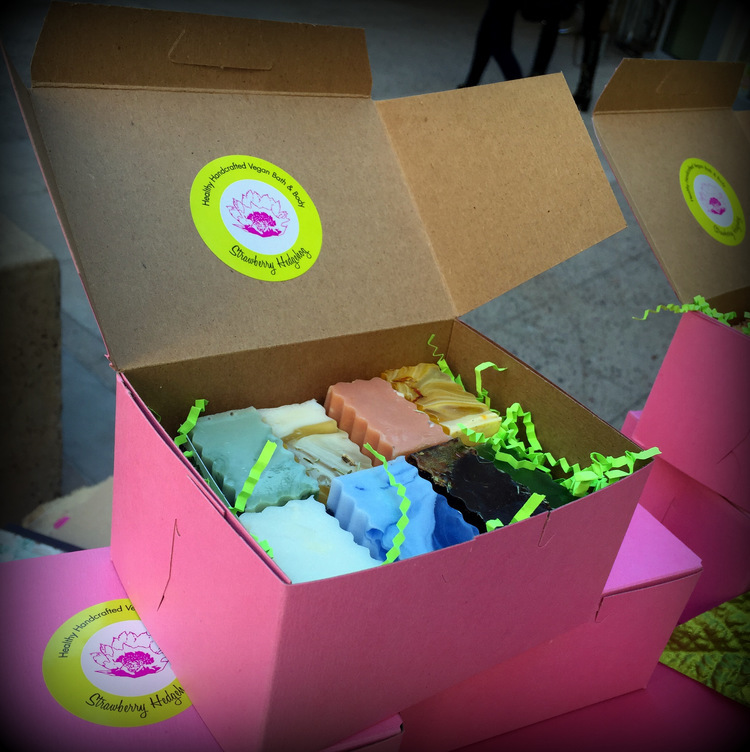 The Strawberry Hedgehog is located in Phoenix, AZ and specializes in handcrafting vegan, safe, healthy and clean products ranging from bar soaps to body cremes to many other skincare essentials. What I love most about their soaps is not only are they 100% Vegan friendly and individually handcrafted with the health of the planet in mind, but they're also not packaged in toxic plastic material. Each soap lasts approximately 2 weeks to one month with daily shower use, so it's a great gift for Moms who love to feel pampered and enjoy experimenting with different bath scents. Better yet, you'll be giving her a gift that she can practically make use of until next year's Mother's day. You also have the option of buying her a monthly soap club membership so she can enjoy a new bar of soap every month (starting at $40.50). You can purchase a soap box in-store at the Strawberry Hedgehog shop which is located at 1501 W. Thomas Rd. Phoenix, AZ, or you can purchase it online through their website, strawberryhedgehog.com. Although with Mother's day being only 3 days away, I'd strongly recommend you buy it in person instead! The Warrior Flasks are the perfect gift for active Moms who carry a water bottle everywhere they go. My favorite thing about the Warrior Flask is that you can custom engrave them with "Best Mom", "SuperMom", or any other phrase you choose. Warrior Flasks are made to last a lifetime. These super heavy duty flasks are plastic-free, BPA free, and lead free so that you can feel good knowing you're not only deflecting plastic from our landfills, but you're also helping reduce Mom's exposure to harmful BPAs and carcinogens. If you order today, you can choose FedEx Ground Home Delivery for only $11.95 to have it shipped to you within 1 business day - right on time for Mother's Day! Warrior Flask was originally founded in Arizona and now has an online store with shipping available nationwide. As a little girl, I remember watching on as my mother neatly folded layers of tissue gift wrap paper after a party into tidy little squares to repurpose for later use. I also recall a shelf in a closet in our house dedicated to storing gently used gift wrap like colorful gift bags with ribbons and bows of all colors designed to make gifts shine. If only everyone stored gift wrap this way. But we all know gift wrap more commonly gets thrown away after only one use and the majority of gift wrap can't even be recycled, which means more of it ends up in a landfill. GGWrap, founded by an entrepreneur in Gilbert, AZ, has made the concept of reusable gift wrap probable and appealing by creating beautiful gift wrap made out of fabric that can be used and reused over and over again. The reusable gift wrap allows anyone, even those with minimal wrapping experience, to wrap beautiful gifts that look professionally done. There are 32 reusable pieces in a GGWrap, so whether you want to make the wrap itself a gift to Mom or use one of the pieces to wrap her gift (it could serve as a 2-in-1 gift! ), I'm sure she'll be uber impressed either way. GGWrap is available to be purchased on Amazon with Prime, but you can also visit GGWrap.com to learn more about the company and their product. What kind of brand advocate would I be if I didn't mention our own service, right? ViriClean is currently offering $20 off any one-time home cleaning service when you use discount code MOMS13 on our online booking form. Because Mom shouldn't have to do any work on her special day, and that includes cleaning. For those of you reading this blog for the first time, ViriClean is an eco-friendly cleaning company in Arizona that is committed to revolutionizing the way the household cleaning industry does business by reducing the amount of plastic used while cleaning. We're a brand new company in Arizona that was established in 2017 and we're currently designing our own line of zero waste cleaning products. For Mother's Day, I would highly recommend choosing a one-time deep clean service; with a deep clean service, our Maids complete all of the standard house cleaning tasks like dusting, wiping down countertops and stovetops, bathroom sanitation, complete vacuuming, and more, but also detail clean items that Mom may not get to every day like baseboards, high light fixtures, window blinds, doors and walls. ViriClean charges a flat-fee per room, so your price will depend on the number of rooms you want cleaned. You can learn more about our pricing on our Pricing page. For those of you willing to spend the big bucks, what better way to spoil your favorite Mom than by treating her to an all-exclusive day at the Spa at the Arizona Grand Resort & Spa? The Arizona Grand is committed to sustainability and environmental responsibility and has partnered with the Arizona Hotel and Lodging Association Green Certification to be as green as possible. Learn more about their green initiatives. Which of the 2 treatments you choose is up to you, but in my personal opinion the 80 minute luxury manicure and pedicure and the 50 minute custom massage sound like a heavenly treat. Their spa is open daily from 9am to 8pm, but you better act quickly and make an appointment because these kinds of holiday offers are quite popular and fill up fast! These eco-friendly food bags are the perfect alternative to plastic ziplock bags. 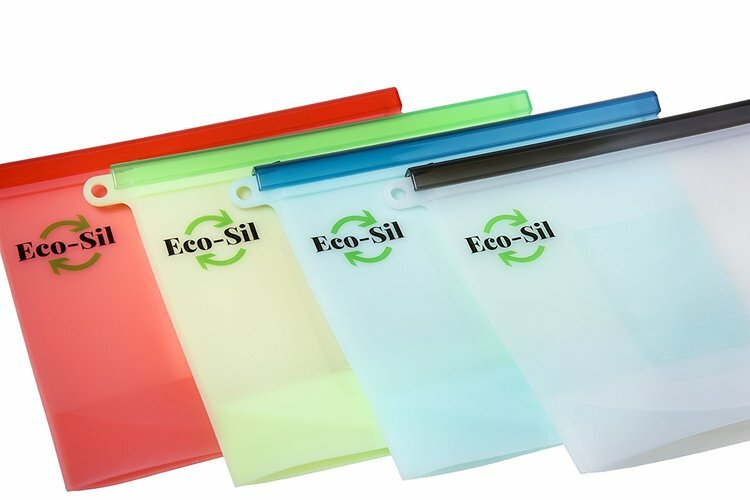 I'm sure that even if your Mom isn't all about the eco-friendly life, she's sure to love the fact that these are airtight and leak proof and help food stay fresh longer, unlike their plastic counterparts. This is the perfect gift for those Moms who like to bring their own reusable shopping bags to the grocery store but don't yet own a set of produce bags they can carry their produce and smaller items in. These produce bags are beautifully crafted and they can be washed again and again. If your Mom loves the environment then she'll definitely appreciate the personal touch this gift will add to her life. These mesh bags are available for free 2 day shipping with Amazon Prime Membership. So what are you waiting for? With Mother's Day only 3 days away, you better act fast and order one of the gifts I mentioned above. If you're just barely reading this the day before Mother's Day or, worse yet, if it's already Mother's Day and you're scrambling to find the perfect gift, then I'd highly recommend the Soap Box from the Strawberry Hedgehog (go buy it in person), the ViriClean Home Cleaning Service, or the Mother's Day at the Spa special (if there are still spots available), since any of these 3 gifts can be purchased the day of. I hope you enjoyed our post this week. If you have any last-minute Mother's Day gift ideas of your own, please share them below so everyone can benefit from them. If you're a Mom reading this post, thank you for everything you do and Happy Mother's Day to you! Have your home professionally deep cleaned for as little as $80* a month.